Register now and get the latest information about our live webinars! Be the first to know firsthand about news and product extentions. Post your specific questions live during the webinar and get directly reply from our expert. 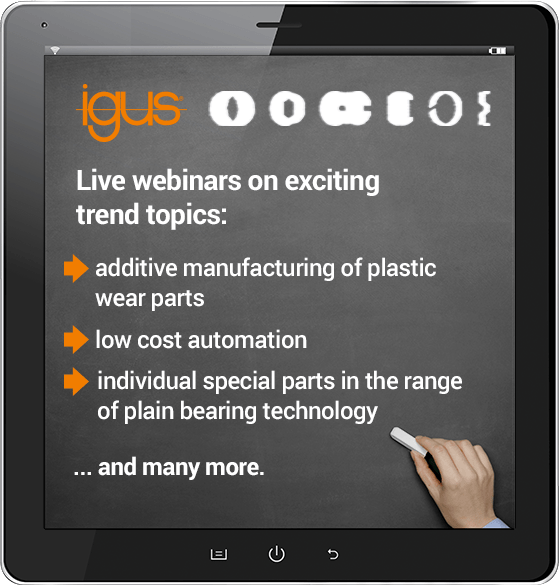 Educate yourself and your colleagues with valuable igus® content.